October 16th, 2014: My sequel has moved into the editing phase! I will be posting regular updates on my progress, as well as previews, here on the Funferblog. I will also be recording two excerpts from Noven radio plays: Crystal Captain and Speaker for Hire. Stay tuned! December 14th, 2012: Island consignment! 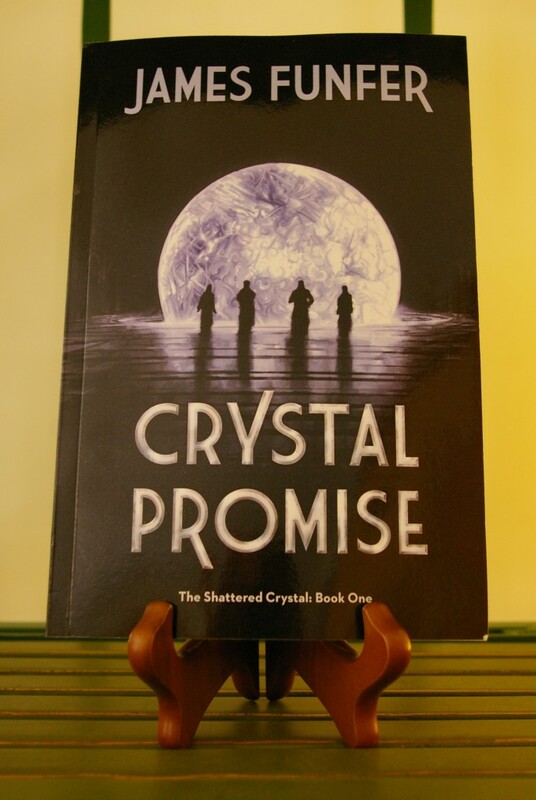 Copies of Crystal Promise are now available at three bookstores on Vancouver Island: Bucknucks Books, Gallowglass Books and Volume One Books. Supplies are limited until the new year! September 11th, 2012: After a kerfuffle involving book deliveries, my shipment finally arrived. This will be my last book signing in the Calgary area for a while, so if you haven’t had a chance to pick up Crystal Promise yet, I’ll be at Chapters in Chinook Mall from 11-3 on Saturday, September 15th. Here’s the Facebook event page. August 24th, 2012: Well, the book signing on the 19th was an amazing success! I sold 63 copies of Crystal Promise, did some great networking, and just had a blast all in all. Consignment deals are opening up, so look forward to being able to find Crystal Promise in many more places soon. In other news, the Cowichan News Leader Pictorial printed a great article about me here. July 26th, 2012: Crystal Promise is available now in print format on Amazon.com! Click here to buy it. July 19th, 2012: I just received my proofs in the mail. June 28th, 2012: Writerly Rejects did a review of Crystal Promise on their blog! Check it out here. I also did an interview with them, which you can check out here. Crystal Promise is coming soon! Follow The Funferblog to stay up-to-date!